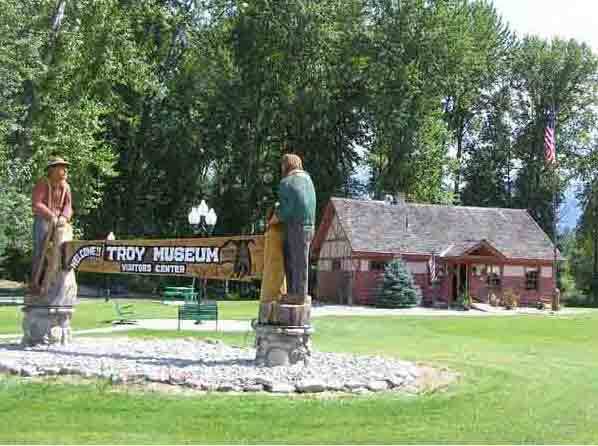 The Troy Museum and Visitors’ Center, conveniently located on Highway 2 as you enter Troy from the east, is a volunteer-run attraction featuring all Troy-related historical items. It is also home to the FOLF (frisbee golf) course, public restrooms, public posting area, picnic tables, and parking area. The wooden sign in front of the museum was carved entirely by chain saw by Dave Clarke of Eureka, MT.